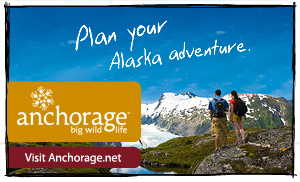 Kodiak Island was discovered in the 1700s by Russian Fur Traders—it is now a top tourist destination. 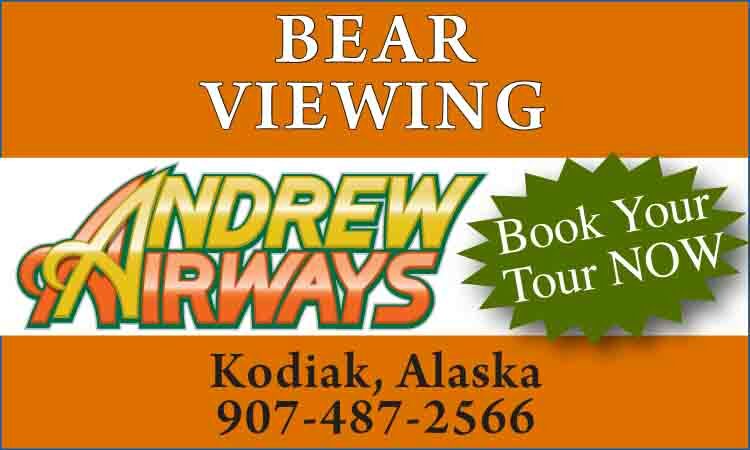 Home of the Kodiak Brown Bear, this is where you come to view this amazing species from the air on a flight seeing trip, or even hunt the bears with a local outfitter. 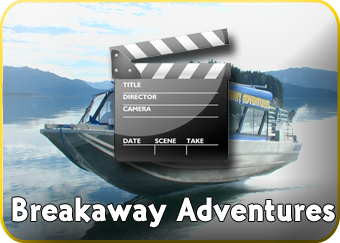 Sport fishing is another popular activity and the waters around Kodiak Island are filled with both commercial vessels and people out for a fun day on the water. 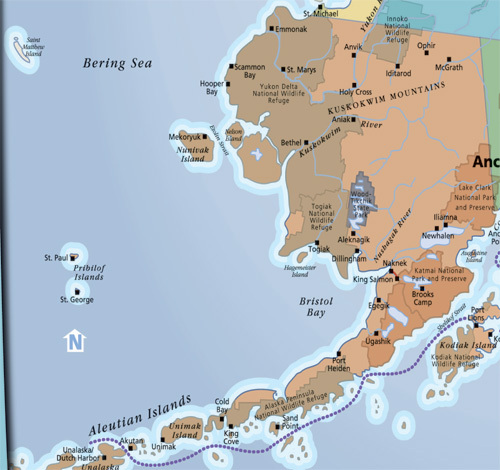 At the end of the Aleutian Island Chain is remote Unalaska/Dutch Harbor, the only place to be bombed by the Japanese in WWII other than Pearl Harbor.